If you are wanting to create a professional ‘ready to wear’ look to your self-made clothing, you’ll be wanting to familiarise yourself with the term and technique of UNDER-STITCHING. Ever had a facing or pocket lining refuse to stay hidden and pop out for attention? Most likely its because it hasn’t been under-stitched. When I was learning to sew, the pattern instructions would often instruct me to ‘under-stitch‘ things like pocket facings, inside waistband facings etc, but in my impatience and and eagerness to wear my new garment, this was a step that I skipped over as I really didn’t understand what understitching was and why it was necessary. 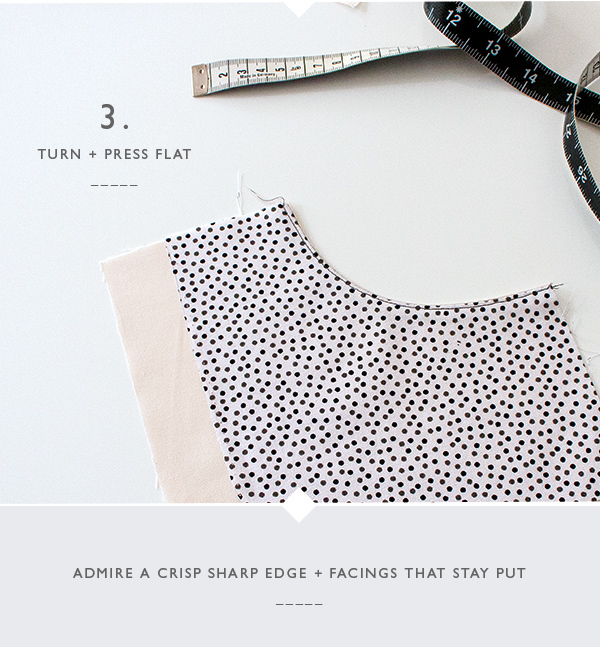 Over the years as my sewing skills increased, so did my desire for SEWING PERFECTION. Once I learn’t the what and how, I was impressed, it gave such tailored and professional finish with a crisp sharp edge and a perfectly turned facing that stays put! THE DETAILS: WHERE IS IT USED? 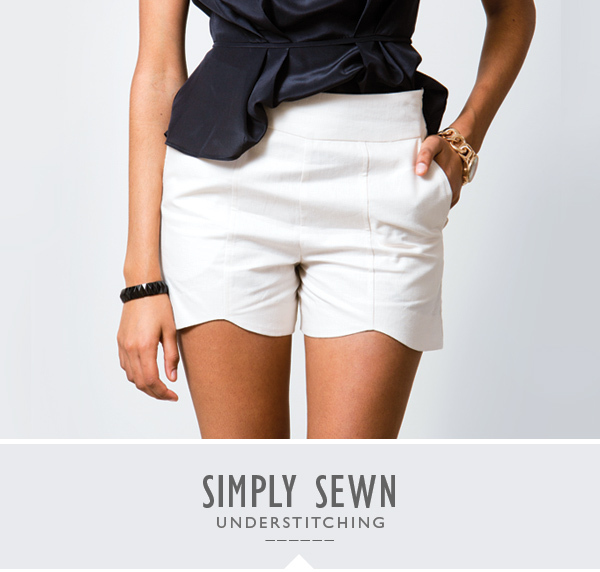 Under-stitching is always used on the inside of the garment on any facing; i.e. neckline, armhole, inside pockets and shaped waistbands and also on bindings. It is a row of stitching, sewn from the right side of the garment, close to the seamline and through all the seam allowances forcing the seam to roll inside the garment to prevent the facing or pocket lining rolling outwards and being visible from the front of the garment. 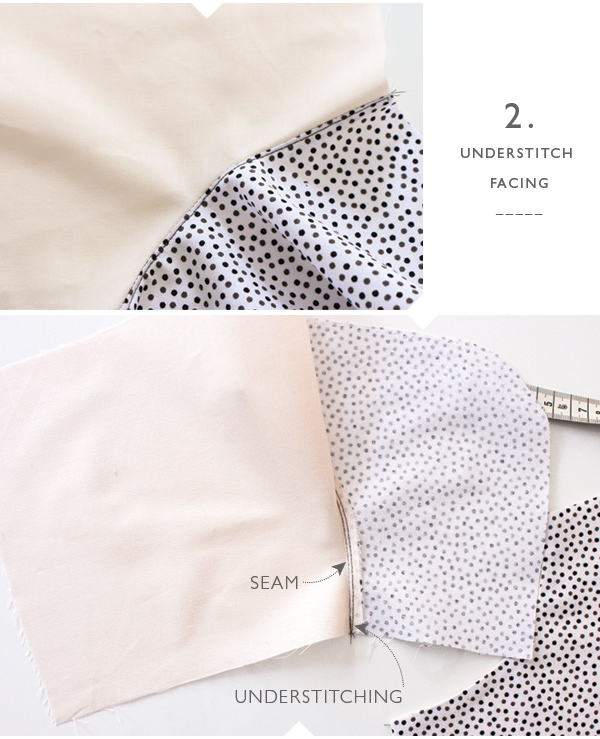 HOW TO: Stitch the seam, the seam allowances are then graded ( if needed ) to 6mm, (1/4″), clipped or notched ( if needed ), then pressed to the side where the UNDER-STITCHING will be placed, i.e. pressed into the facing. I’m using a curved pocket piece to illustrate this technique. 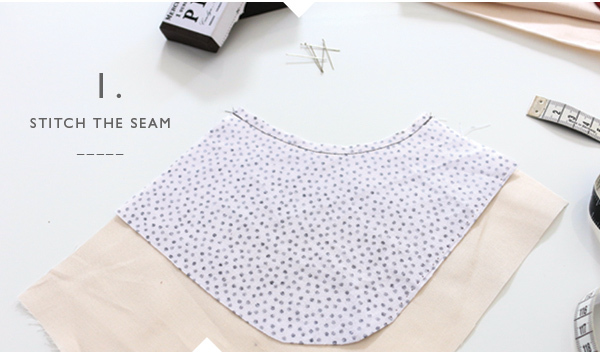 **I like to use a smaller seam allowance, 6mm (1/4″) on seams that are curved such as pockets, collars, necklines etc. Because of the small allowance, I very rarely ( if at all) need to trim, grade, notch or clip the allowance as it turns very easily. This makes for quicker sewing! Working from the right side of the garment, stitch through the facing and all seam allowances, staying close to the seamline. 1-2mm of the outside (shell) fabric is visible from the wrong side, which is perfect! When making this tutorial I didn’t realise that black spotted linings don’t make for very good photos! Sorry for causing any eyestrain! Seeing spots anyone?